I’m still new to the IPhone. I’m still learning about all the cool secrets, like how to operate the camera in a non-moronic way, and I don’t even use Siri all that much. * I know my apps, though. *In fact, I only use Siri when I’m messing around and ask her something like, “Where can I score some drugs?” Pretty funny!! I have Flixster, AroundMe, TVFoodMaps, ATP/WTA Live and, among others, the NPR app. 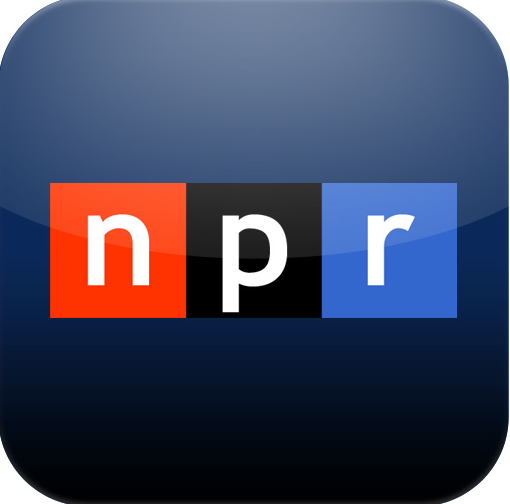 This is probably not groundbreaking, but the best app, to me, is the NPR app. You can listen to a livestream of any NPR station in the country. You can listen to snippets of their latest stories on demand, or some of their older ones. You can listen to podcasts. When a band has released eight full lengths, seven EPs, a remix album and an array of B-sides and singles over the course of 19 years, individual songs sometimes get lost in the shuffle. Radiohead’s body of work is so expansive and so diverse that sometimes it’s worth taking the effort to stop, listen closely and remember that they’re the best pop band ever because they’ve written the best pop songs ever. Sure, they’ve changed music, inspired countless others, and sold a zillion albums. But that doesn’t happen without one song, another song, a third song, and so on. 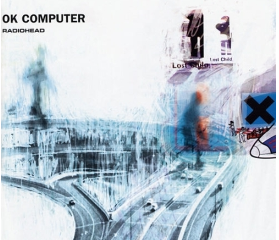 Stuck in the middle of OK Computer, just three tracks after the album’s biggest hit (“Paranoid Android”) and immediately preceding its accessible hit (“Karma Police”), “Let Down” is a masterpiece. It’s just a song – given, a beautiful song – until the 2:28 mark. The bottom drops out of the chorus, leaving one shimmering, bending electric guitar phrase. Then a twinkling guitar on the left. Warm feedback on the right. Kick drum and a cymbal in the back. Another electric guitar on the right. Near-human synth beeps and chirps coming from everywhere. You probably know that Adam Yauch, otherwise known as MCA, one of the founding members of the Beastie Boys, died on Friday. He was 47. Yauch’s death set off a deluge of Beasties reflection throughout the music community — See Coldplay’s heartfelt tribute performance of “Fight For Your Right — and Twitter was flooded with references and 140-character memorials. I read plenty about Yauch’s life — some things I knew, some I didn’t; for instance: Did you know Yauch directed a 2008 basketball documentary, “Gunnin’ for That No. 1 Spot”? … Or that the Beastie Boys once toured with Madonna in the mid 80s? “In the history of hip-hop, the Beastie Boys were both improbable and perhaps inevitable: appreciators, popularizers and extrapolators of a culture they weren’t born into. But for most, I think, this was remembering where you were when you first heard that sound, that improbably (and sort of illogically) entertaining blend of rock and punk and hip-hop … and these three Jewish kids from Brooklyn screaming over it.